Just wanted to say: I am not an influencer, nor a style blogger. I just happen to love clothes. I caved in and spent wayyy too much at the recently concluded preview events of Plains and Prints. Two bags full -One for each preview event I went to. I went to both previews in Shangri-la and in Trinoma. This time I went overboard and ended up with three dresses, a top and shorts. * I usually get a just a dress or two- if budget permits. ** But then again, I tend to wear my clothes over and over so its ok. Plus, since it is a preview, I technically get to wear these dresses before they go mainstream. So these were the reasons I tell myself to justify the splurge. Sorry I’m rambling. So, here is what I got. 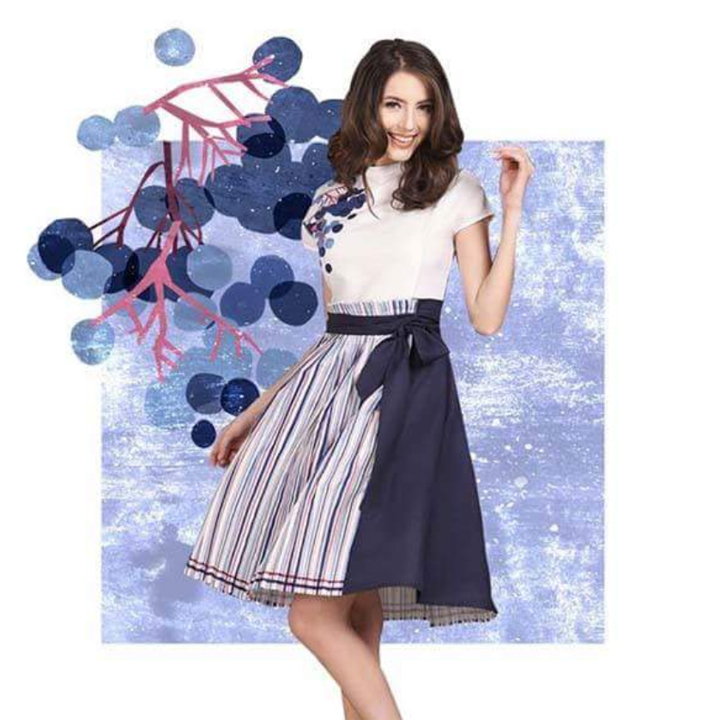 The Blueberries dress that I had my eye on since I saw it at the store catalog. It looks like a blouse and skirt combo, but is really a dress! Since I have a penchant for blue, and the fit is good…this is now on my closet. I also really liked that it has sleeves, because my closet is almost dominated by sleeveless dresses so this is a good variation. Added bonus, it has pockets! A surprise find on the store was this playful, millenial pink dress named Beverlee. Loving the print on this one! -Its a cute illustrated map. I really dig the print of this one, it also has pockets! Sold. Those were the two I got on the first event. But, I knew I have to go back because I am having buyer’s remorse about not getting a top and short that I tried on the store. *I tried quite a lot of dresses. But in the end, I just have to get what fits me well and what I really liked. So, I went to the next preview and got this top for myself. This was the reason I went back. 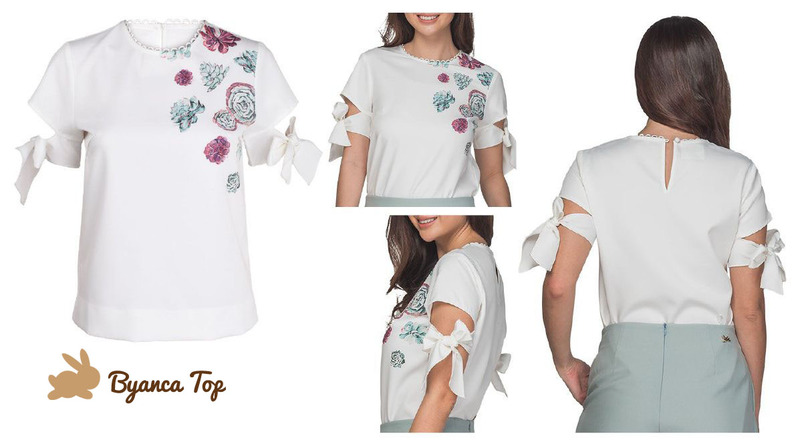 Byanca top with quarter sleeves and succulent print. I am sorry but I still can’t find a photo of the shorts I got. It is named Andreas -a light blue, scalloped hem, chambray shorts with a bow belt. – I really loved the relaxed fit of the shorts. To pair with the top pictured above. As I was about to leave the store, I stopped by the counter to ask for the latest offerings/restock they had. They had me try on the Grapes dress -which I heard was one of the most requested dress in this summer release. -It was ok but, I guess its not for my body type. So it was a pass. That led me to try this one on. Because blue! I just had to try it. This dress was lighter than the other two dresses I got, it has no pockets but the fit was very flattering, I love the color. The print also has that fun tropical feel to it so, off to the bag it goes. I guess I am done with my summer dress shopping for now. Splurged on anything nice this summer? I’d love to know! **All my reviews, opinions, and other stuff expressed here are my own and based on my own experience with the product. This is not a sponsored post, I paid for this (from) my own pocket. 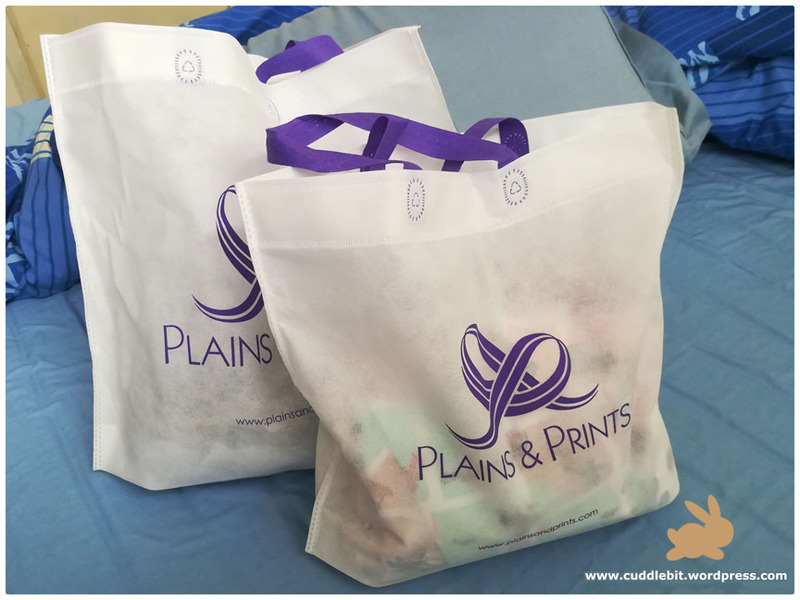 – The clothes posted here will soon be available in Plains and prints stores this summer season. Expect for the blue berries dress. They already have the dress in stores. 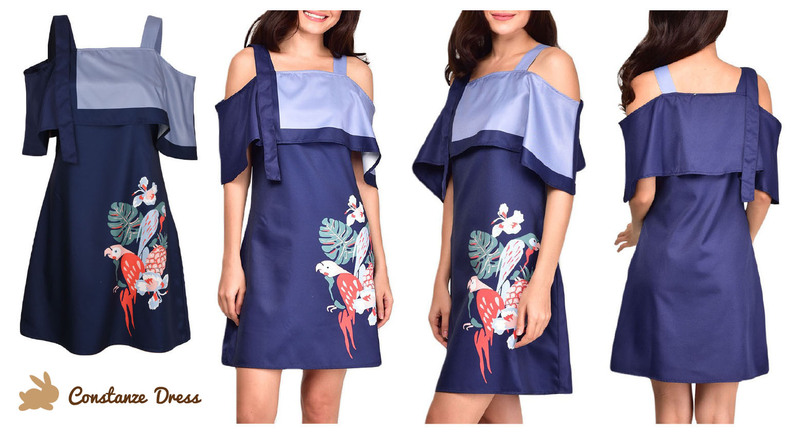 Categories: dresses, fashion, summer | Tags: 2018, andreas, andreas shorts, beverlee, blueberries, byanca, constanze, dresses, event, Philippines, plains and prints, preview, reviews, shangri-la, summer, summer dress, trinoma | Permalink.